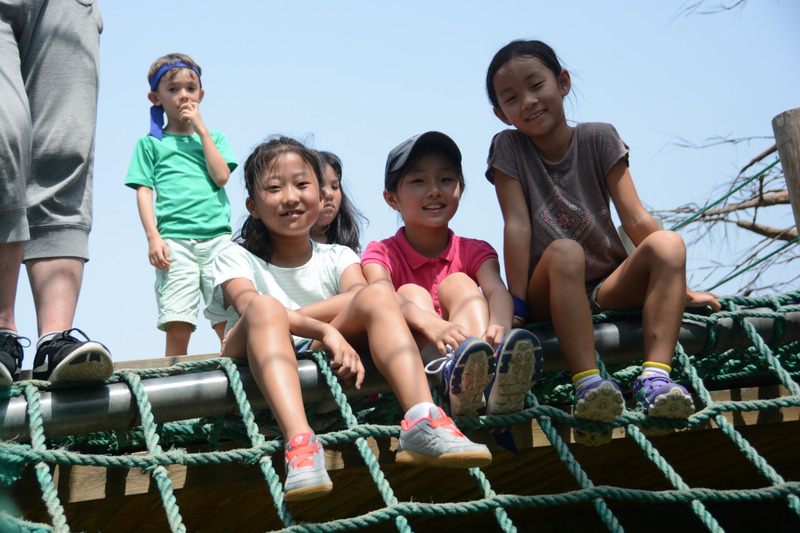 Convenient for its proximity to Shanghai (just a ninety-minute drive) our camp at Oriental Land offers a home away from home for students with little experience being apart from family. All housing is in a gated complex with 24-hour security and breakfasts provide western fare. The park is the largest and best of its kind in China offering a wide range of activities including, electronic scavenger hunts, archery, orienteering, cycling, dragon boating, assault courses, obstacle courses, flying kites, go karting and huge amount of team building activities. The park also features an aircraft carrier replica with a museum inside. We offer other primary school trips in Beijing, Suzhou, Hangzhou, Huzhou, Xian, Chengdu and Guangzhou, that follow a similar format. Our school trips are completely customizable and can be tailored to meet your requirements. Speak to a specialist now to find out more about residentials in your area. Upon arrival, teachers and students will be briefed on health & safety. After checking in we, divide into teams and come up with team names and chants. After lunch, we start team building activities that familiarize students with local area, then gather up for the Welcoming Ceremony. Our first activity of the day is a Treasure Hunt . Other activities throughout the day involve an obstacle course and archery. In the morning, students will do a building exercise with the balloon tower! Student groups will compete to build the tallest and most stable structure they can out of balloons. Other activities today involve the traditional Dolly-box car race in which students design and decorate a four wheeled vehicle out of a dolly, and a first-aid training session where we take turns pretending to be injured, then treating each other. We also go cycling around a massive park while students search for the landmarks circled on their maps. After dinner, students go on a night walk activity where they are blindfolded and must follow a rope using only their hands. Day 3: Water Guns and Dragon Boating! It’s an early start with Dragon Boating. Students get on Dragon Boats on a lake to race against other teams. Then, we go to a massive imitation aircraft carrier within the park, stopping along the way to ride on some go-karts (driven by adults). We cool off in the afternoon with a round of water fights with toy water guns. We also have a bridge crossing today. Bridges each have a different challenge and students who fall off may splash into the water underneath. After a full day, we have a student play competition where each student group must come up with their own story and act it out for their peer judges (props provided by The Learning Adventure). In the morning, we will be flying kites, and trying out archery. After some more fun teambuilding games like the funchute and the half-pipes game, we wrap up the week with a three-legged race and tug-o-war competition before heading back to school. 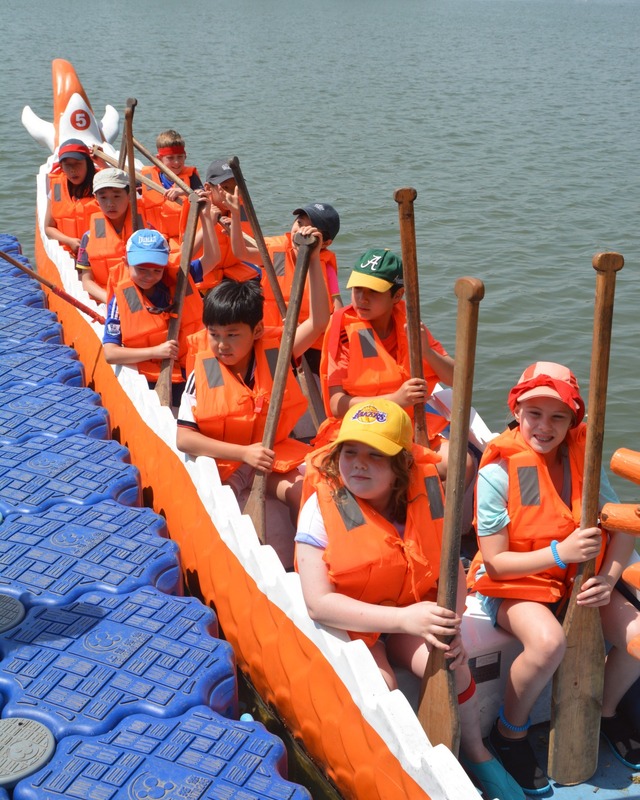 Action; through physical activities such as dragon boating, biking, dolly-box-car racing and teambuilding games students will gain confidence in their physical abilities and come to appreciate the many rewards of physical exercise.